The end of the school year is fast approaching and I can hardly believe it. This time of year seems to go by so fast. 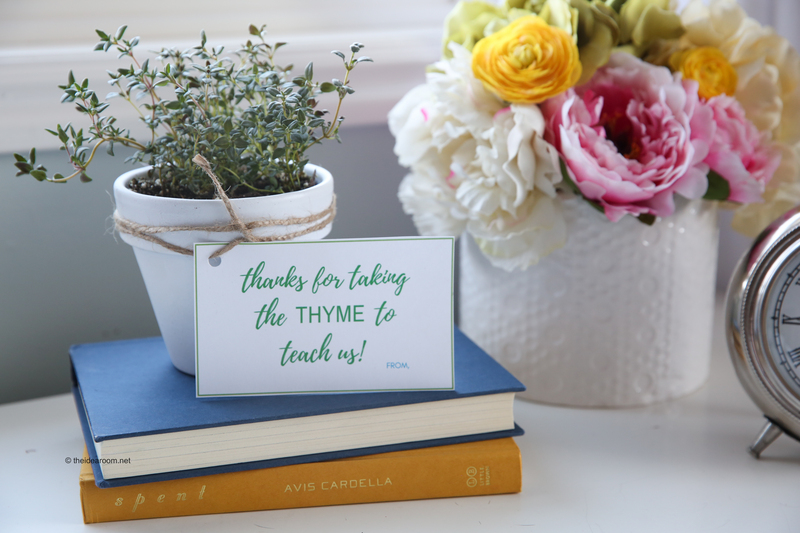 The end of the school year means that it is “THYME” to start thinking about Teacher Appreciation Gifts. 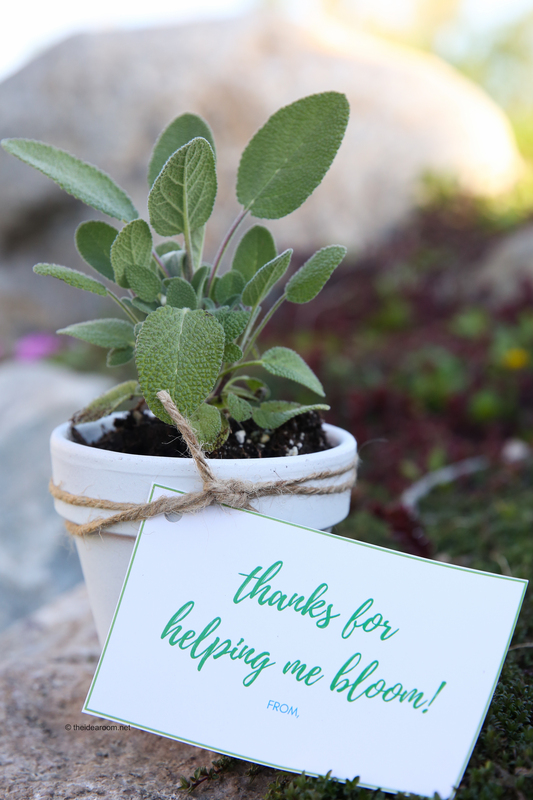 Having been a teacher myself, I remember how grateful I was to receive a thoughtful gift from one of my students. Today I am sharing some simple Teacher Gifts that any teacher would love to receive. 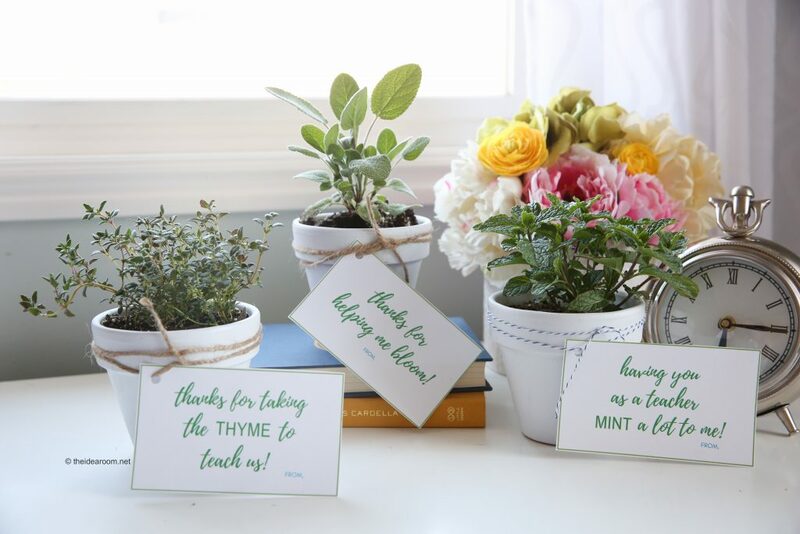 These Herb Plants Teacher Gifts take just a few minutes to put together. 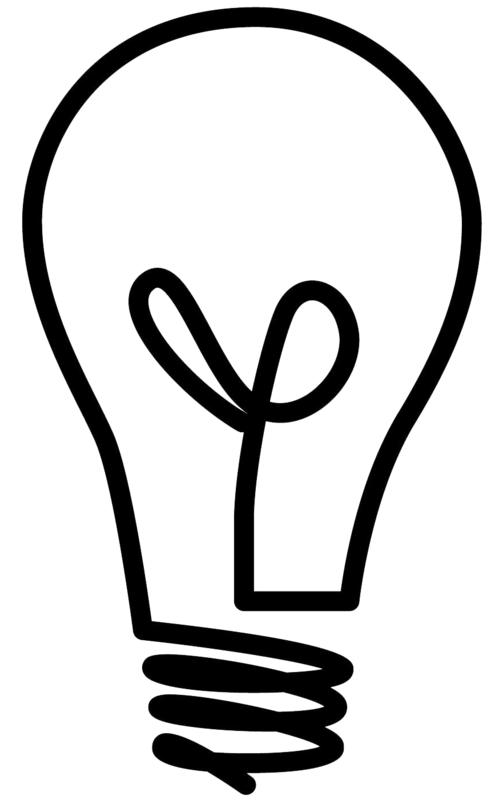 I love that they are something that the teacher would actually use in his or her home for several months to come. 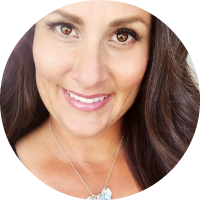 I always like to add a gift card to a restaurant or the teacher’s favorite store so that they can also pick up a little something that they personally would enjoy. Teachers work so hard with our children everyday and it’s nice to give them a little reward to show them our appreciation of their hard work. 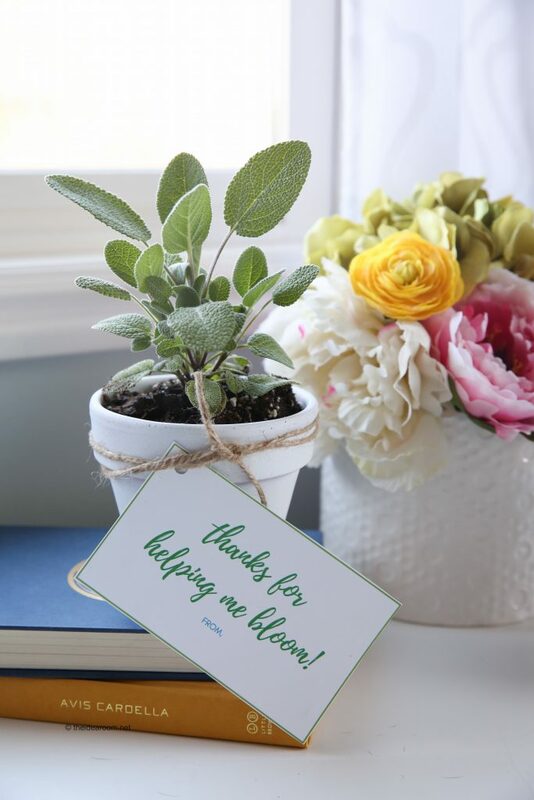 If you don’t want to give them an herb plant, you could always give them a flower that they can take home and plant in their yard or display in their home. Succulent plants are also a nice and easy plant to take care of that would be fun to keep in the classroom or at home. 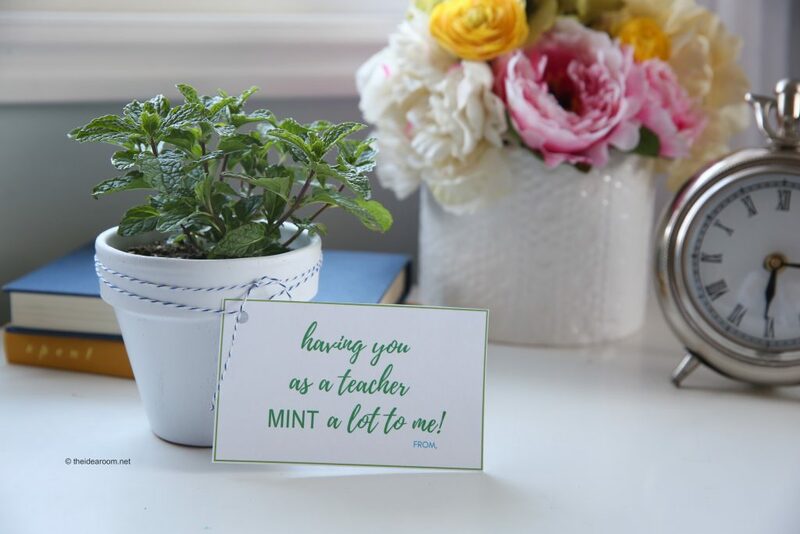 I made some printable Teacher Gift Cards to go along with this little Teacher Gift Idea and have made them available for you to download and print. 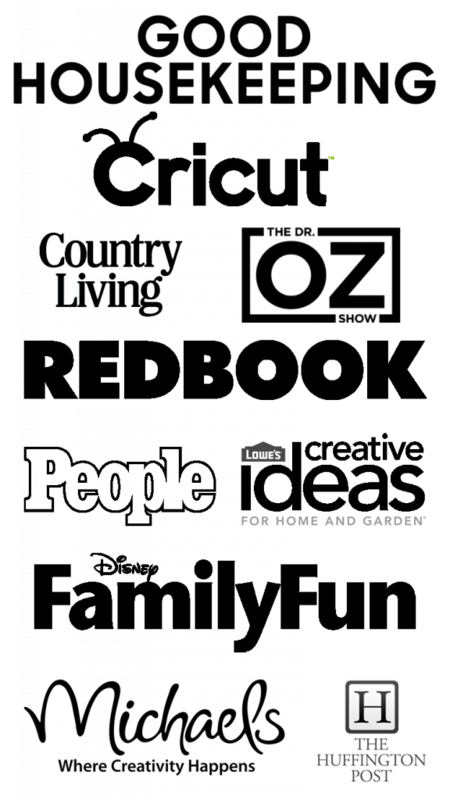 To grab them, simply click on the link below.